Damnit kids, who do you think you are? Daddy told you not to tackle like Mascherano. 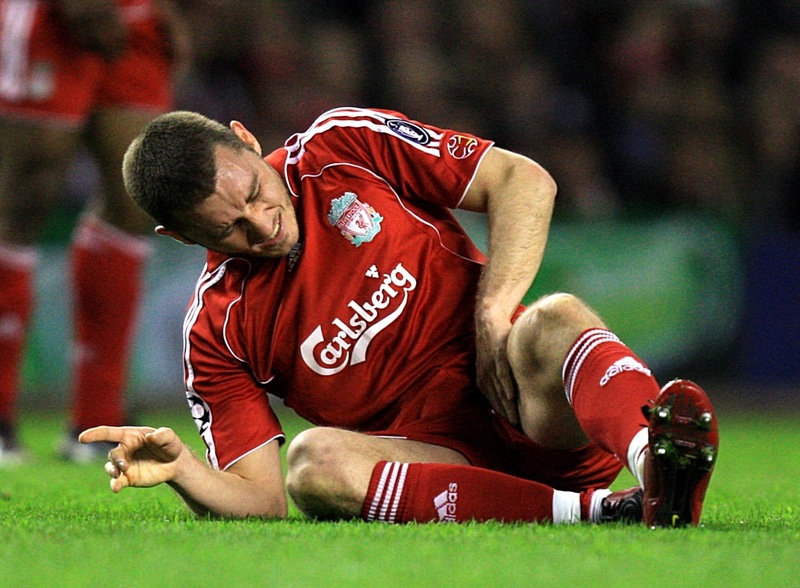 Fabio Aurelio twisted his knee while having a harmless kickabout with his young children on holiday. Stupid boy. Early reports suggest the Brazilian’s injury is so serious that he’ll have to undergo surgery. The freak injury could keep him out of action for up to six months. Rafa must be loving this. At least Liverpool’s gaffer has the fast-improving Emilio Insua as back-up. The Spanish waiter has also signed teenager Chris Mavinga from PSG. The 18-year-old Frenchman is a full-back/centre-back and could also deputise for Aurelio if needed. Ollie I’m not trying to be the stereotypical sensitive liverpool fan but this post is a little annoying to say the least. Fabio has been so unlucky with injuries and it’s not really fair to him to take the piss like that.